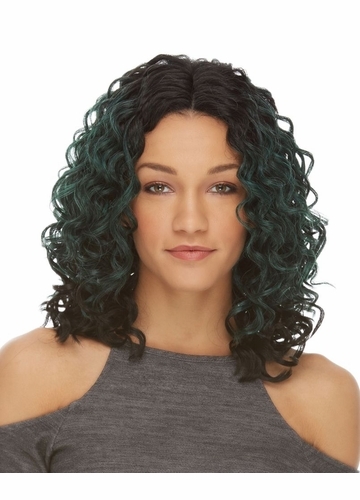 Shoulder length lace front wig with bouncy curls and natural middle part. 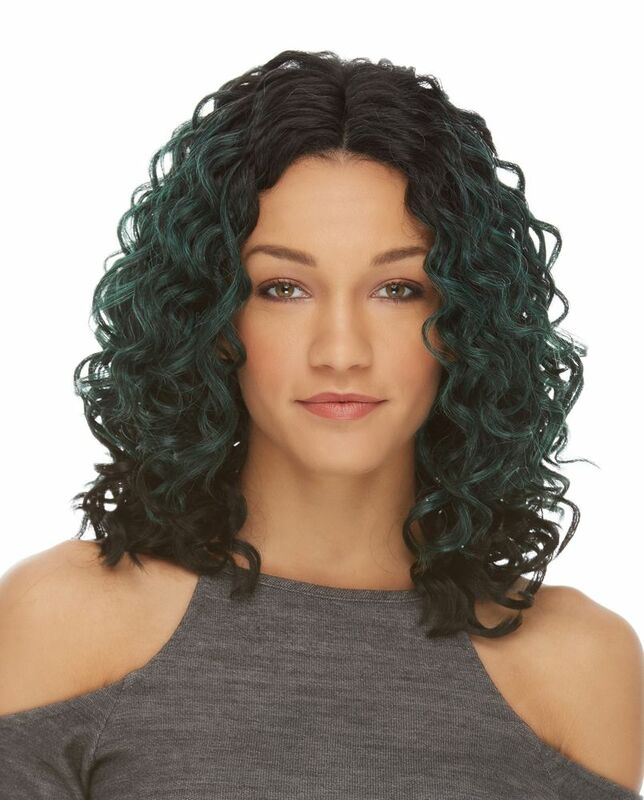 High quality synthetic fiber wig with lace-front construction for perfect fit and comfortable wear. 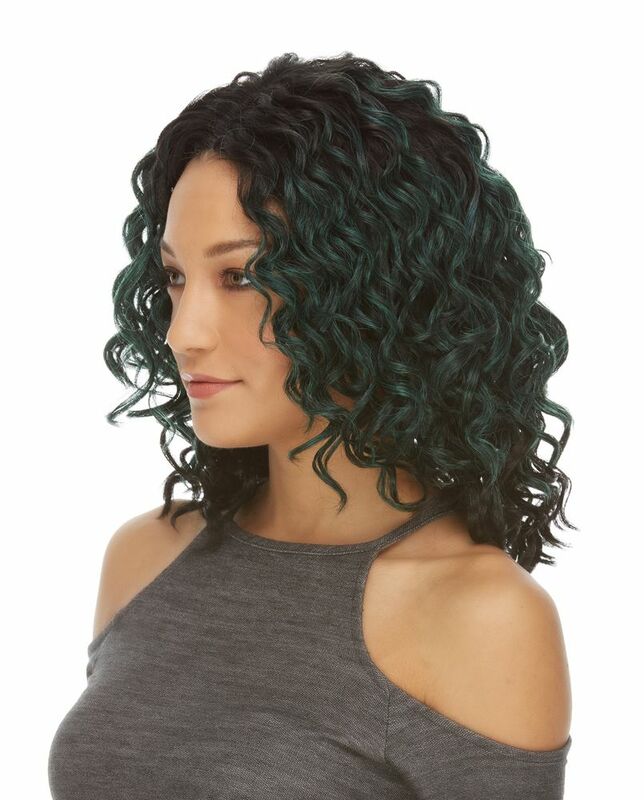 Bouncy curl styling and natural volume are perfect for every day professional look. 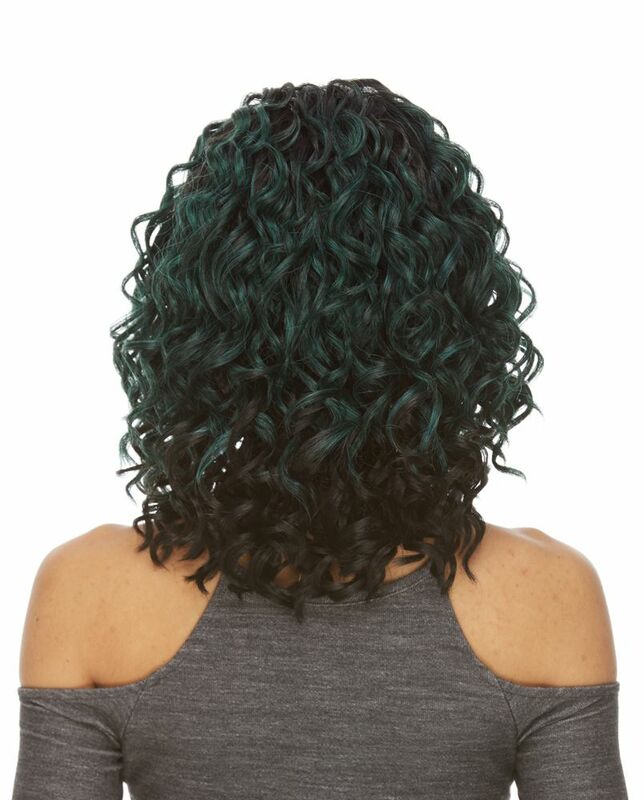 Model is wearing black/aqua blend as pictured (523).